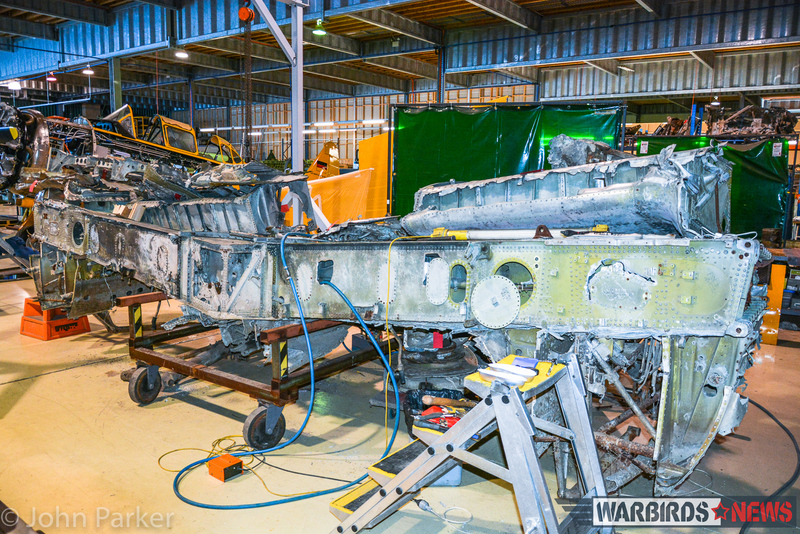 We at WarbirdsNews thought our readers would love to see some news about the three Lockheed P-38 Lightnings currently under restoration in Australia. 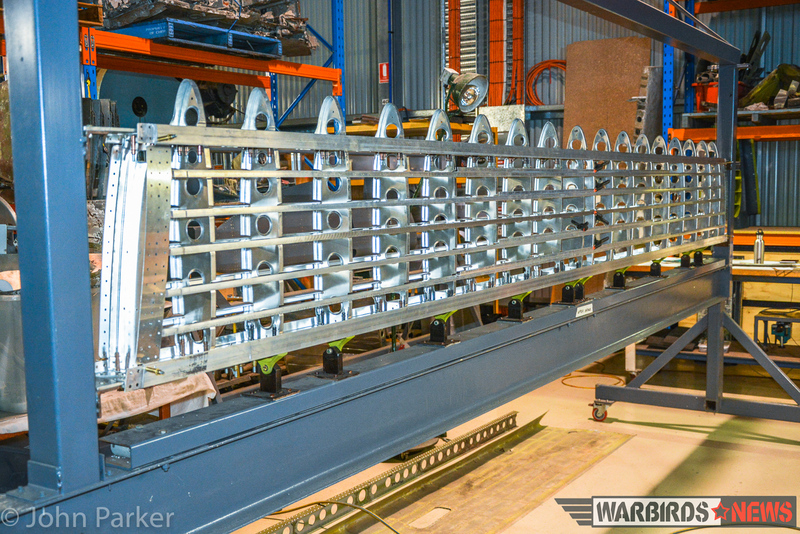 Our good friend John Parker from WarbirdsOnline recently visited Historical Aircraft Restorations Ltd.’s workshop in Albion Park, New South Wales where the Lightnings are under rebuild, and has graciously allowed us to share some of his words and fascinating images from that trip. 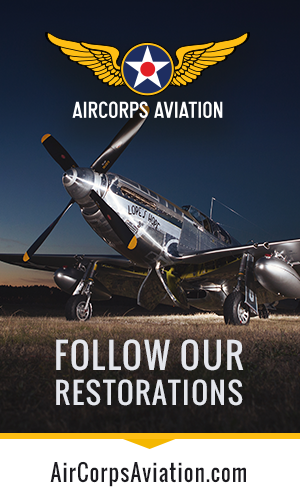 The restoration shop is located within one of the large hangars belonging to the world famous Historical Aircraft Restoration Society museum, better known as HARS, and is run by Rob Greinert, a legendary aircraft recovery and restoration expert. 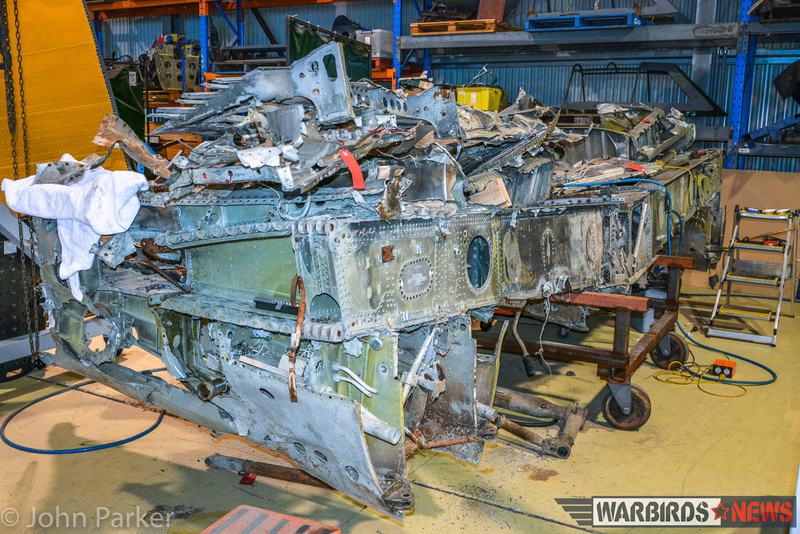 One of the Lightnings will fly again with HARS, while the other two will be returned to static condition. 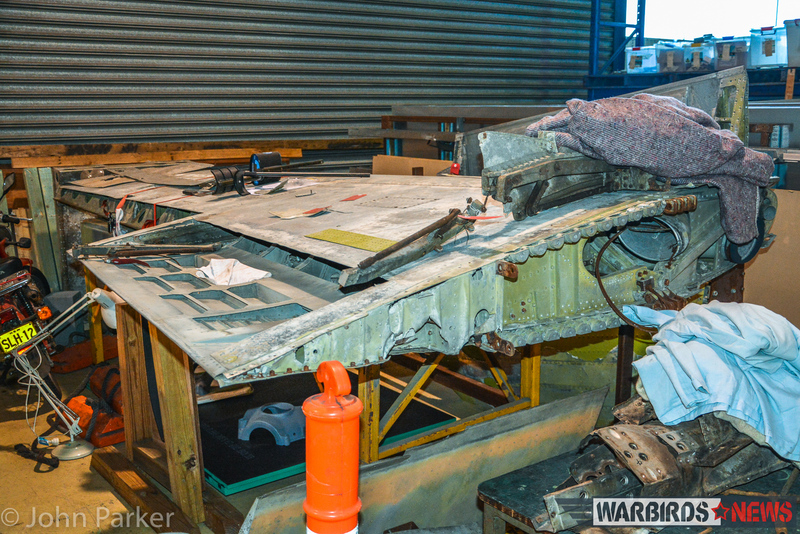 According to widely published sources, Greinert is known to have substantial remains from P-38G 42-12847 “Dumbo!” recovered from the Solomons in the early 2000’s and P-38F 42-12647 “Dottie from Brooklyn”, as well as parts from P-38F 42-13084 and the tail booms from P-38H 42-66905. 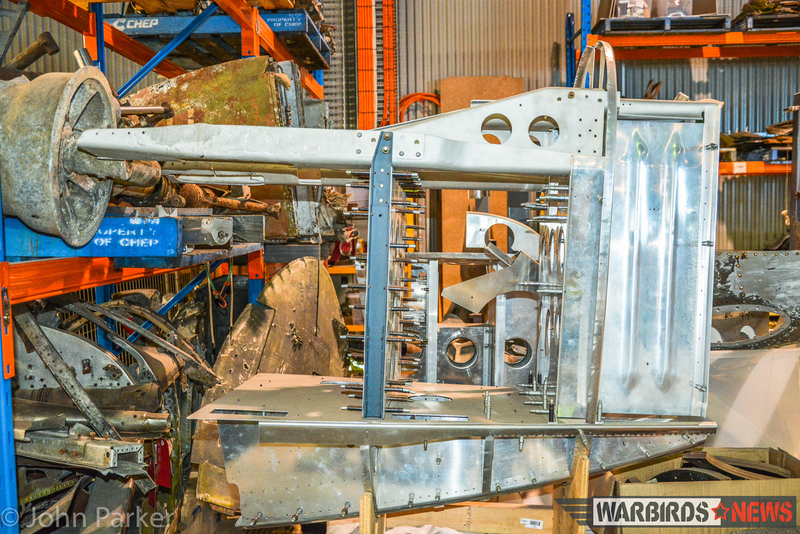 We were very pleased to see the work being undertaken on three Lockheed P-38 Lightning fighters in the workshop. 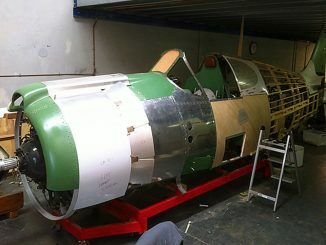 In the past month, we again visited the workshop and to view the progress being made on these “Fork Tailed Devils”. 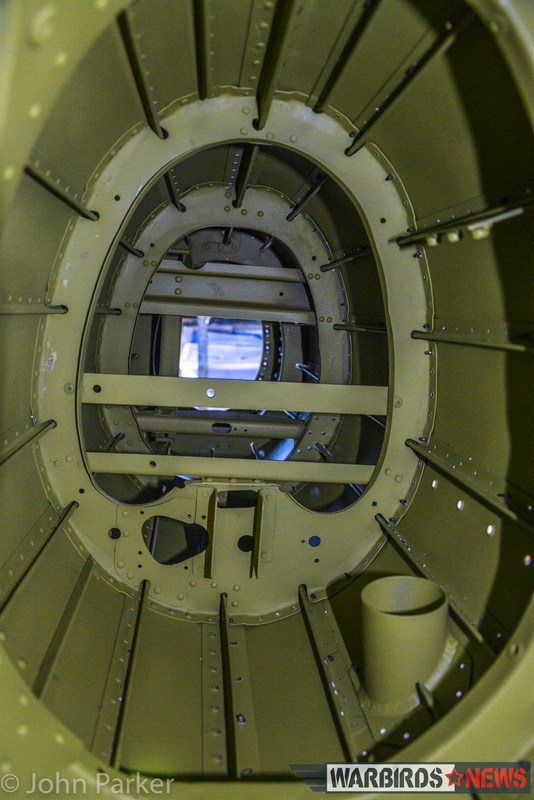 Great strides have been made in the interim on the aircraft and it was exciting to see the work progressing so well. 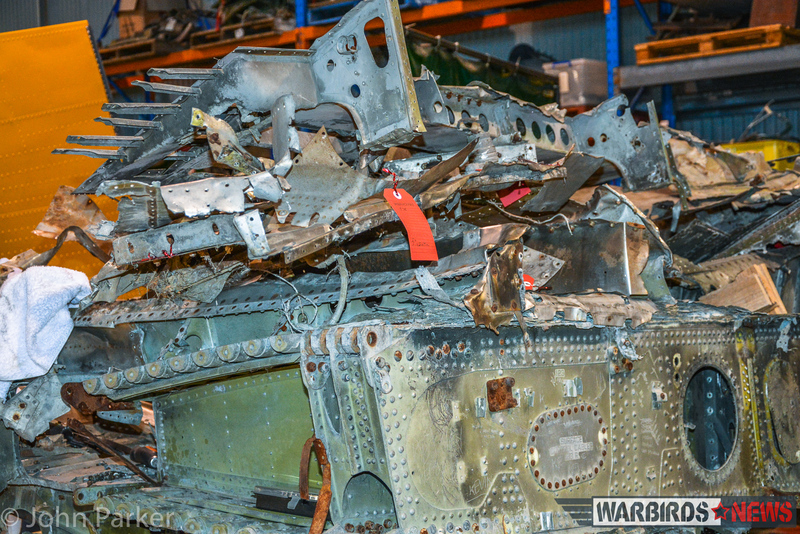 At the time of our latest visit the first aircraft was in the process of disassembly of the wing and center section. This work was being undertaken by Arthur Griffiths and Jason Cockayne and the task is huge. 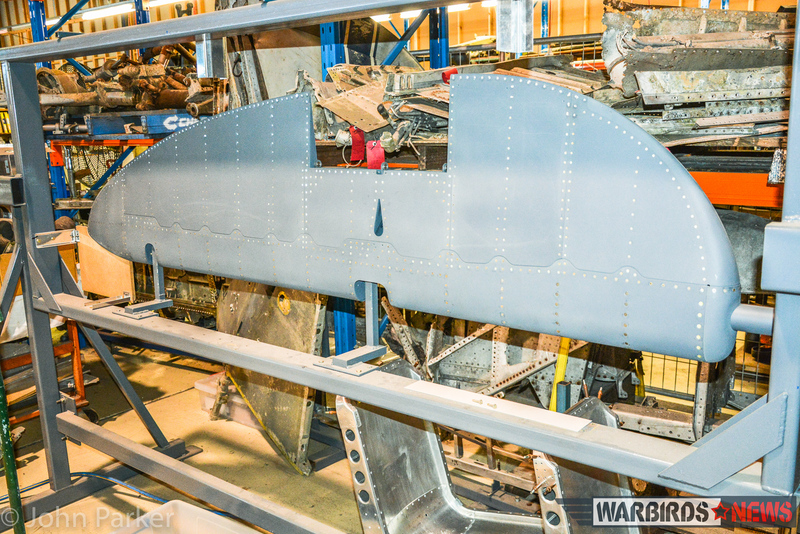 The centre section and wing assembly is a very large structure in its own right and although the donor example is in relatively sound condition, much of it will serve as patterns for new build components. 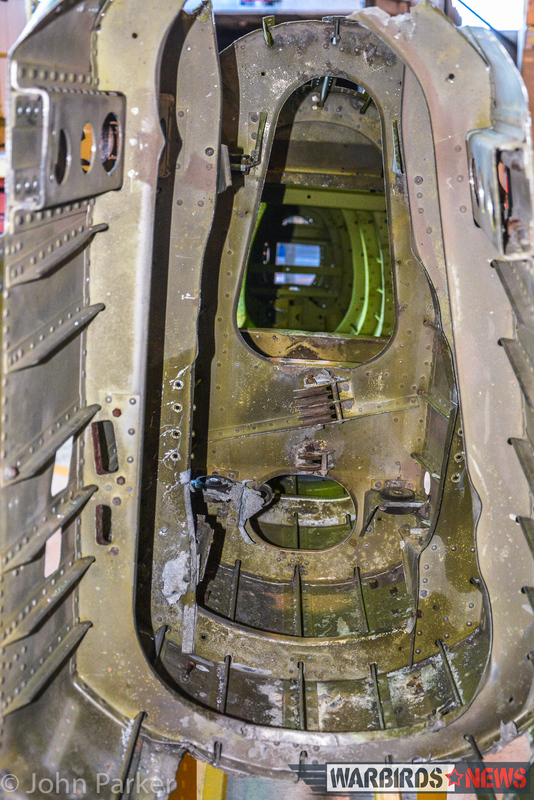 This particular P-38 is not identified, but is thought to have come from Keema Misson in the Gulf Province of Papua New Guinea (PNG), according to a notation scratched into the spar. 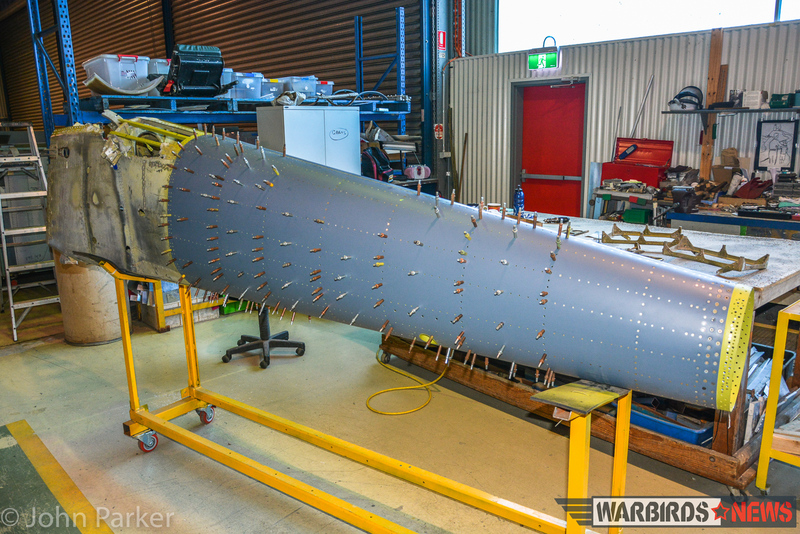 Once completed, this particular static example will be making its way to the PNG National Museum and the other static aircraft will be going to a well-known American Museum [Ed. Pima Air & Space Museum]. 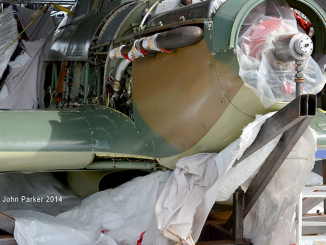 The aircraft will be completely detailed inside and out and make an exceptional museum exhibit. 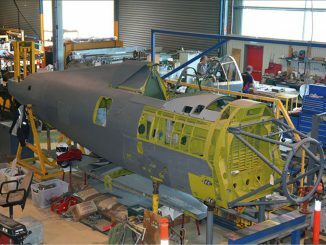 Also in evidence at the time of our visit, was the work progressing on other components for the P-38 projects, including the start of a cockpit assembly and substantial horizontal stabilizer work, as well as the rebuilding of the tail boom assemblies. The booms are a real work of art in themselves and the workmanship is very impressive. 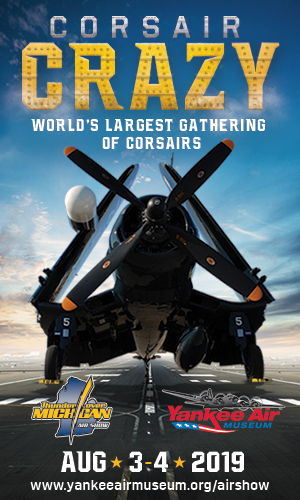 The concept of building the two static P-38 Lightning’s first and then the flying examples makes perfect sense, as the static aircraft, although built to the highest standards, will allow Robert Grienert and his team to learn from the experience and develop methods and tools to make the airworthy examples easier to complete. 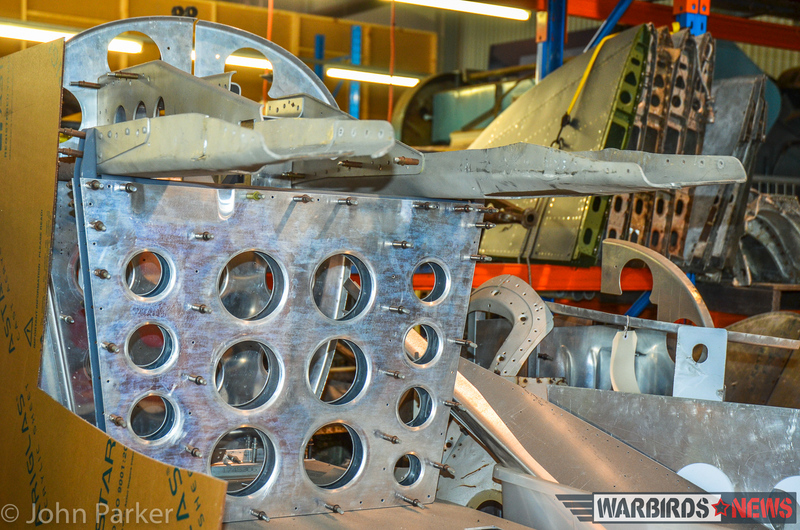 As discussed previously, parts for P-38 rebuilds are becoming extremely hard to come by and Robert Grienert has amassed the largest remaining collection of components. 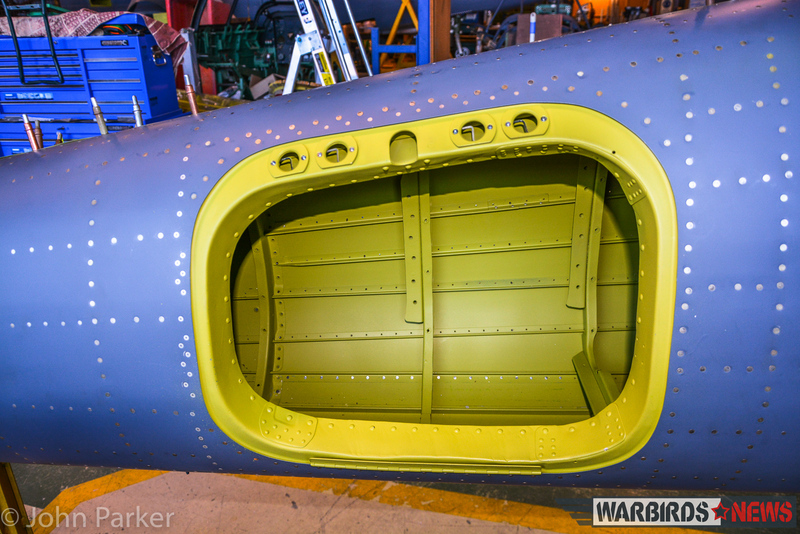 However, even this will be exhausted once the 3 aircraft are completed and he believes there won’t be many more P-38s rebuilt in the future as a result of these parts shortages. Where do you find a good set of P-38 landing gear legs for instance? One little known fact is that Australia operated the F-4 photo-reconnaissance version of the P-38 Lightning in WWII from the Northern Territory, however the availability of the deHavilland Mosquito halted widespread RAAF use. It will be great to follow the story of these “Fork Tailed Devils” over the next few years and even greater to see the first Lockheed P-38 Lightning fly in Australia since 1945 as part of the great HARS collection. 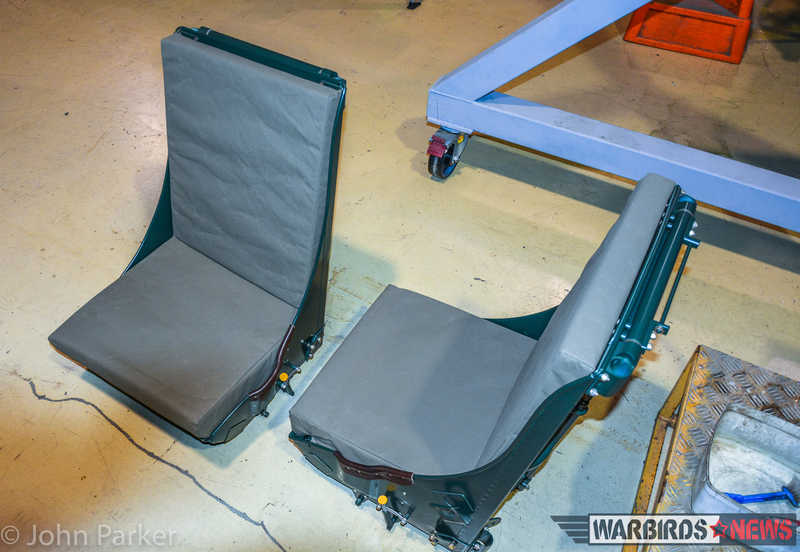 WarbirdsNews wishes our great thanks to John Parker, and also by extension to Rob Greinert, for the article and images published here. We expect to hear from them again before too long! 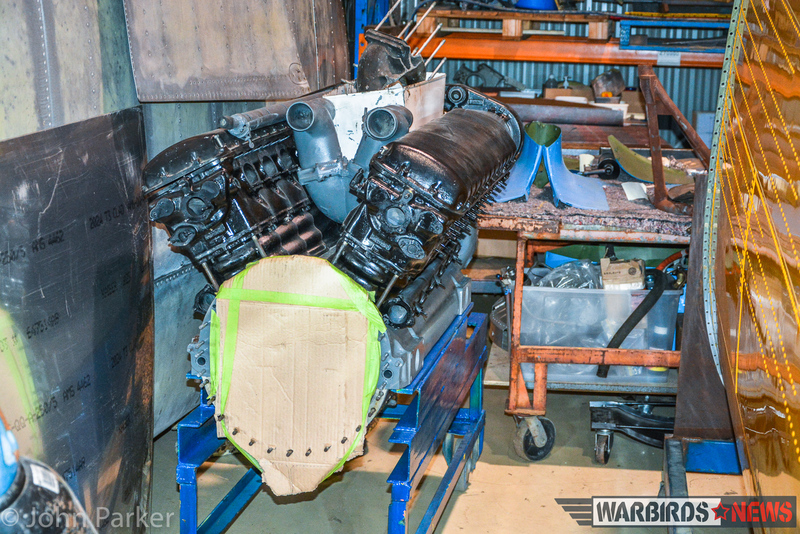 Warbirds Online extends our thanks Robert Grienert and the team at Albion Park for their help and assistance for this visit. Too bad someone cannot go to Clark AB in the P.I. and did up the massive P-38 bury site there. The article and photographs in either Air Classics or Flypast from the 80’s or early 90’s show it’s not a myth like the buried Spitfires. These were not put in crates and buried, but rather piled on top of one another and buried with a bulldozer. 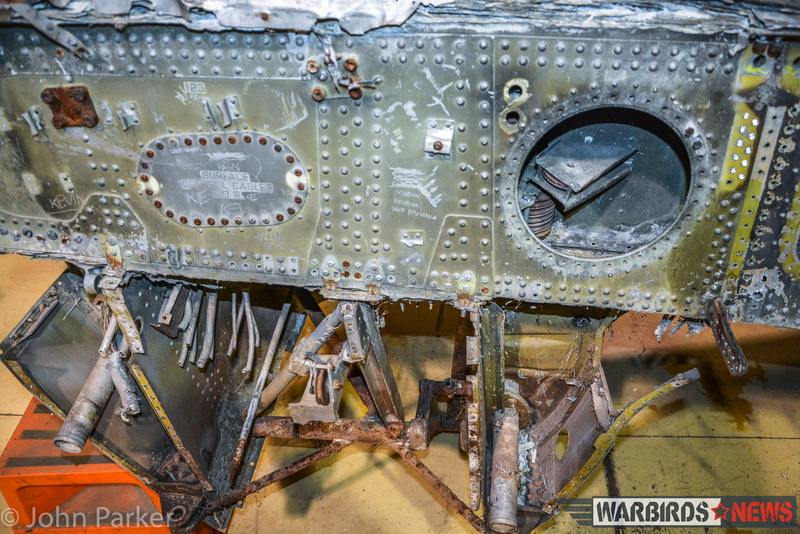 Some still had the factory numbers on them in the pics, not USAAF markings. Tom, do you have that article by any chance? Shooting those corrugated inner wing skins on is quite a trick. HARS & Robert Greinert have recovered multiple P38 wrecks from PNG under contract to the PNG National Museum & Art Gallery. Restoring them on behalf of the people of PNG, so that they can be returned to the PNG National Museum and put on display. The boom in the above article was recovered many many years ago, great to see that HARS are finally making good progress on the restoratio. 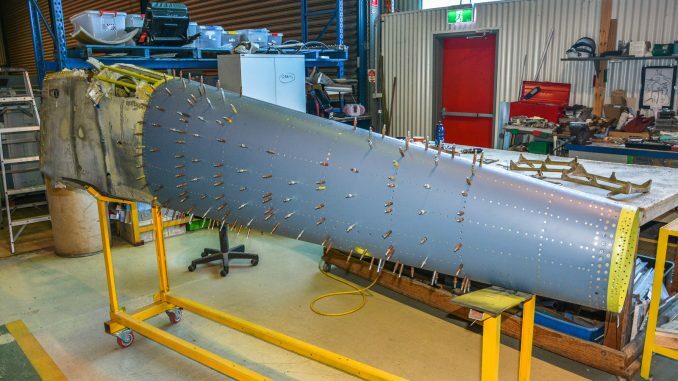 The people of PNG will be excited to receive the finished airplanes back. Good to hear from you PNG Warbirds. 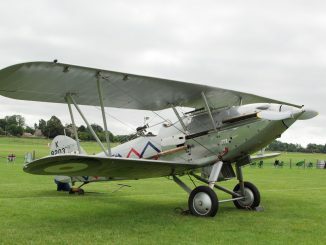 We’d love to know more about your museum and aircraft if you would like to contact us some time. I tried your e-mail, but it didn’t work unfortunately… Thanks very much for writing in. Great article about a grand undertaking. My father was one of the small group that flew the PRU Lightnings, had a total of 90 hours mostly in A55-3. Much of the story is on Adastron.com.au, or just google A55-3. The legend of Kelly (Clarence) Johnson lives on !